Summer is in full swing with barbecues and festivals, which can steer well-intended eating habits off course. To stay on track, NAKANO has partnered with registered dietitian nutritionist, Dawn Jackson Blatner to provide tips for a healthier summer. Eating healthy during the summer can be a challenge, but by starting small and making incremental changes to a current diet, a healthy lifestyle can be achieved. Below are tips for a healthier summer from registered dietitian nutritionist, Dawn Jackson Blatner. 2. Drink green tea rather than sweet tea . Sweet tea has a lot of sugar and calories, which is the last thing you want weighing you down in the summer. Instead, drink unsweetened green tea which is full of healthy compounds, like catechins, that give your metabolism a boost. 4. Snack smarter . Keep cut-up seasonal vegetables such as cucumbers, bell peppers, zucchini and carrots in resealable containers for easy grab and go snacking. Splash on NAKANO Rice Vinegar to all of your veggies for a super flavor boost. 7. Enjoy light, but flavorful meals. 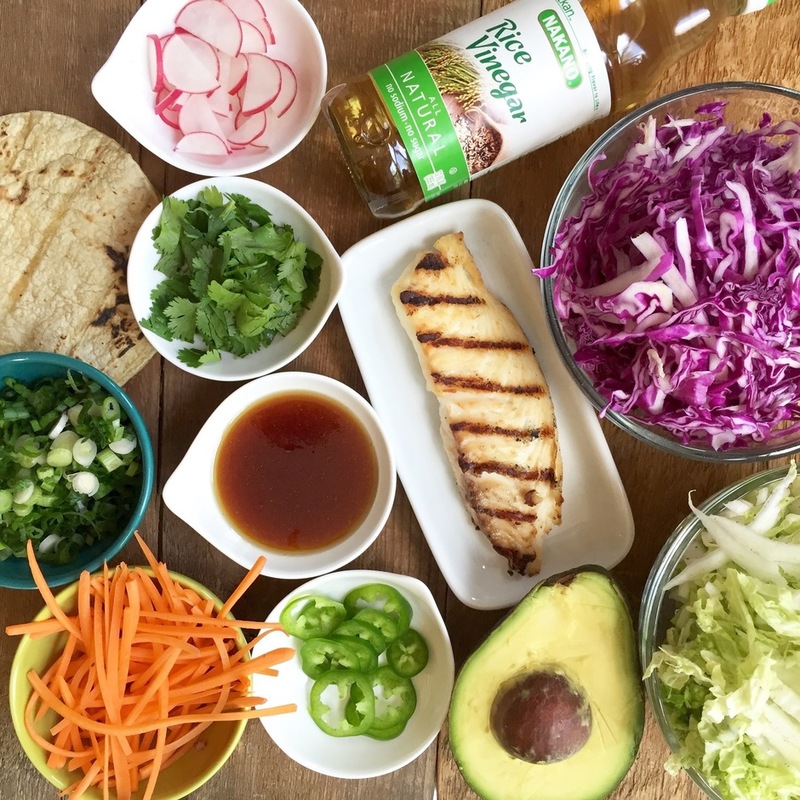 Check out Dawn’s recipe below for grilled fish tacos, created exclusively for NAKANO Rice Vinegar. In a large bowl, whisk NAKANO Rice Vinegar,tamari, honey and sesame oil. Add cabbage, carrots, green onions, radish, cilantro and toss to coat veggies. 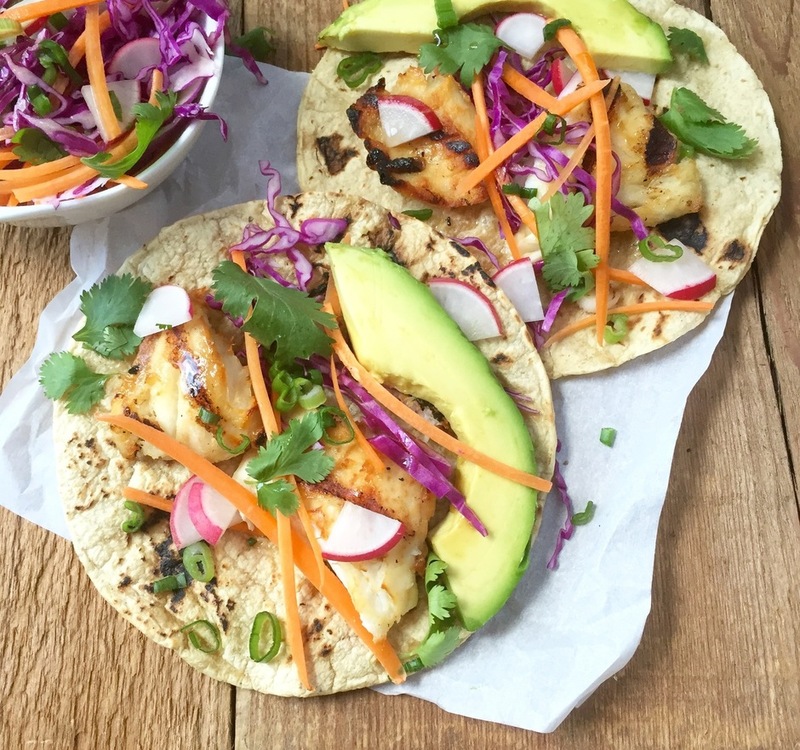 Top warm tortillas with fish, slaw and avocado. Serve extra slaw on the side. Time saver: Use 4 cups pre-shredded coleslaw mix instead of cabbage and carrots. My thoughts: I made these delicious fish tacos for my family. They loved them! They were so easy to make and I will definitely be making them again soon.